Gavin Moynihan carded a final-round 68 to finish nine under par and win the Lookers Championship at Close House by one shot to Dermot McElroy. The closing stages of HotelPlanner.com PGA EuroPro Tour season opener effectively turned into matchplay between the two friends who have known each other for much of their careers in both the amateur and now professional ranks. It was a nip and tuck final round with both holding the lead at one stage but Moynihan (ISM; 68, 68, 68) edged in front with a birdie at the par-five 17th and saw home the £10,000 victory with a par at the last. “I am delighted to win,” said Moynihan, who also takes home a brand new Motocaddy S3 PRO electric trolley with lithium battery, Bushnell Pro X2 Range Finder and Bolle sunglasses. “It was a good battle there with myself and Dermot. I had a great start to be three under after eight. Then I had bogey at 11 and Dermot had gone birdie, birdie so suddenly from one ahead I was one behind and a little bit shell shocked. But I knew I was playing well and the last six holes I played really well – the approach into 18 was probably my best shot of the day. “Myself and Dermot played GB&I boys teams together and were foursomes partners. We have known each other since we were 14, we are best friends. It made it easier for me because I like to have a chat through the round, so it was probably to both of our advantages. McElroy (Ballymena Golf Club) concluded the tournament on eight under after rounds of 67, 68 and 70 on the par-71 Colt Course at Close House. Nick McCarthy (Moortown Golf Club; 69, 69, 68) provided the closest competition to the top two but his three-under 68 for a seven under tournament score wasn’t quite enough. Six golfers shared fourth place on five under. The HotelPlanner.com PGA EuroPro Tour season continues with the Great National Hotels Irish Masters at Ballykisteen Golf Hotel, May 10-12. 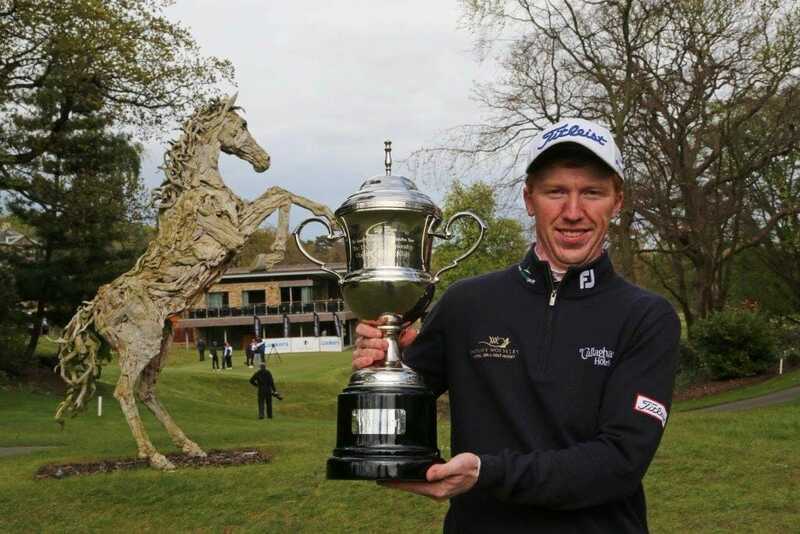 Highlights of the Lookers Championship will air on Sky Sports on Tuesday, May 9.